Brian: And this is your weekly show discussing how to live an active and healthy lifestyle despite a diagnosis of Sjogren’s Syndrome. 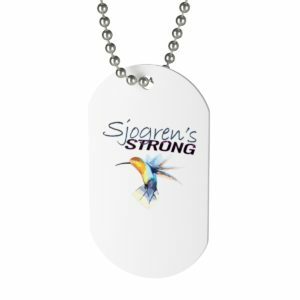 Lupe: And in recognition of this being Sjogren’s Syndrome Awareness month, we are doing a giveaway. Brian: So, why don’t we start off by talking about what we’re giving away. Lupe: Okay, so if you’ve been following us on Instagram and Facebook, you know that I’ve talked about the book, The Sjogren’s Syndrome Survival Guide. This is a book that I refer to everybody that reaches out to me via message or private message, but that they were recently diagnosed. And I recommend this book highly because this is the book that helped me the most when I was first diagnosed. Brian: Let me bring up the point that she purchased 15, 17 books on Amazon. Lupe: I forgot about that. Brian: And she was having a hard time with them. And at the time I thought it was because she was dealing with the emotional issues of being diagnosed with a chronic illness. And she’s now reading these texts about it and you know, it’s not sunshine and roses. It’s bad thing. So I thought she was kind of steering away from it. But then she found this book. Lupe: Well, the other books were very technical. They had medical terms. I found that I was reading three words and then I had to look up the fourth word and that went on for about five pages. And then I’m like, no, I don’t understand this book. It’s really hard for me. It’s stressing me out. I can’t read it. So, I bought another book. Brian: And number 18 was the charm. You know, she even asked or recommended, you know, you should really read this book. It’s really good. And you know, I perused it and I read some sections and you know, I’ll be honest, I skipped a few sections, but it is written in plain English. It is very easy to understand. Very relatable. Lupe: Yeah. It’s written in words that I understood. So I was very excited about that. And a lot of things that I was going through made sense, finally. While reading this book, I had a lot of ah ha moment. Brian: And you know, the book is laid out really well, kind of taking you through Sjogren’s. They really spend some good quality time on laying it out. It starts off with what is Sjogren’s, of course, as most books do. It gets into diagnosis criteria of what tests do you have to test positive for and how many different tests to get a diagnosis of Sjogren’s Syndrome. And then it starts discussing different treatments. Lupe: And my favorite chapter is Chapter 4, More About Medical Aspects, and it takes you through the entire body and organs and it talks about everything, really. Um, which I found most relatable. It talks about the eyes, you know, why they’re itchy and gritty and just, it described how I was feeling. 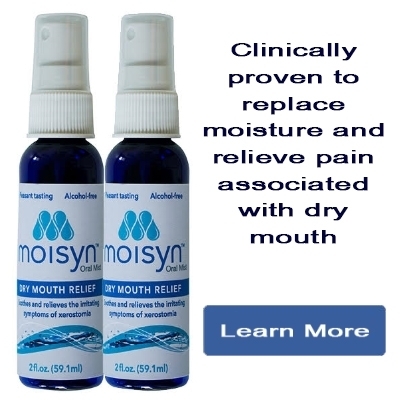 And it talked about dry mouth. It talks about your ears. Ears, for me, I really haven’t had any symptom. But I’m glad I read it because now I know what to look for or if I start feeling something weird in my ears, you know. It talks about your digestive system. Brian: And it covers, you know, other organs like your liver, it coverage, thyroid and so on. It’s pretty comprehensive and this chapter, Chapter 4, is awesome, the way they laid it out. Because if you’re experiencing something, say with your throat, you can run to chapter 4 , flip through and find the section where it talks about throat and learn what Sjogren’s Syndrome does to the throat, what you might be feeling. And at least calm yourself with, okay, now I know this is part of Sjogren’s. And you can put, you know, a series of questions together for your doctor for your next visit. Lupe: It even talks about other diagnoses one might come across as they continue to live with Sjogren’s Syndrome. Brian: Yeah. This book even has chapters dealing with emotions, chronic illness, family and friends, work and disability. 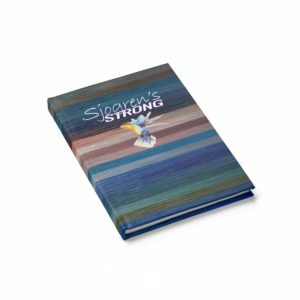 So, it’s pretty all encompassing and that’s why we chose this awesome book to be one of the prizes for our giveaway during Sjogren’s Syndrome Awareness month. Brian: This book helped me so much when I was first diagnosed. So we wanted to share it with everyone. Brian: And if you’re the lucky winner, while you’re sitting back reading this awesome book, you’re going to be able to sip your favorite beverage from a Sjogren’s 15 ounce coffee mug. Brian: Fill it with your favorite beverage. Hold the vodka because we shouldn’t be gone there. And uh, sit back and sip while you read this text. Brian: And all you have to do to enter is sign up with your email address on our website. There will be a link in the show notes below. 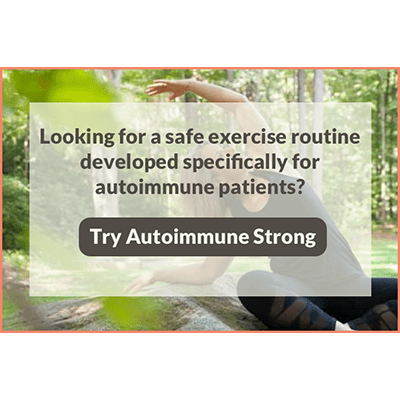 If you’re listening to this on your phone, hit sjogrensstrong.com and you’ll see a banner just below the header and you’ll be able to find all the information out there. Lupe: Be sure to check your spam and if you find the email is there, be sure to white list our email address. Brian: And no purchase is necessary. Again, all you have to do is give us your email address to enter and we’re even paying for the shipping. And once you, you’re going to have some options there. If you shared on Facebook or Twitter or Instagram and there’s a few other options, you’re actually going to get multiple entries into this contest. Brian: So, make sure you pay attention to that sign up page. Once you confirm your email address, there’s gonna be some options there to improve your chances of winning. And this contest is 100% computerized. We’re not drawing names from a hat. You have to give us your email address, you have to confirm your email address. If you do not do that, your name is not in the entry. And then when it’s all said and done, we’re going to say pick a winner and it’s going to give us a name randomly. Lupe: And if you don’t follow the instructions, the computer is gonna skip you altogether. 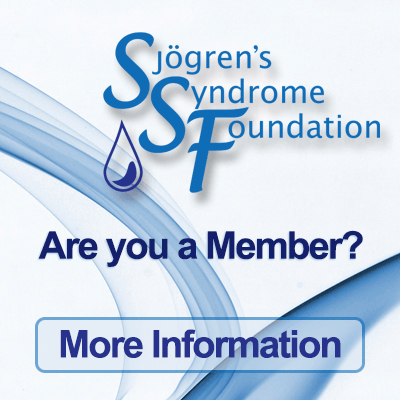 But the more you share it, the more you like it, the more you follow us on Twitter, Instagram, Facebook, join our group Living Sjogren’s Strong, uh, every time you do something, it’s going to be an entry. So good luck. Brian: So, the contest is started already. If you’re listening to this before noon on the 10th of April, 2019 Pacific Time, you’re going to be far ahead of the game. You can be one of the first to enter. The social media posts are going out at noon or after noon today on the 10th. So we really want to reward those listening to the show and give them head start to uh, enter into this contest. Lupe: The prices will be shipped from different warehouses. So the book and the mug, they’re not going to come together in one box. You’ll actually receive two different packages from two different places. Brian: And again, the contest starts today, the 10th. It ends the 26th and we will be announcing the winners on the first during episode 30. And then social push is that afternoon. So, be sure if you don’t subscribe to the show to subscribe to the show, pay attention to that episode on the 30th. And we’re going to be talking about how many entries we’ve received along the way between now and then. But we really wanted to do this to, a, recognize Sjogren’s Syndrome Awareness month and give back to you the community of Sjogren’s Strong. Lupe: So we hope you all enter and share and like and follow and help spread the word. Brian: So, we thank you all for listening to Sjogren’s Strong and thank you to all of those who follow us on Facebook, Instagram, Twitter, and even Youtube. We know it’s not rebutting video, but we’ve found that some enjoy listening to the show via Youtube rather than subscribing on a podcast player or going to the website and clicking place. So thank you to the Youtube, as well! Lupe: We hope you find as much value in this book as I did. And we hope you enjoy the mug. Thanks for Living Sjogren’s Strong with us. Lupe: And until next time, sip constantly and stay hydrated.